Where has this week gone? All those plans of making a fabulous romantic dessert for you have fallen through as life has gotten in the way with Mum duties et al. I’ll still make that dessert that’s playing around in my dreams – even if will be late – but in the meantime, this round-up of my Top Ten Valentine Dessert recipes will hopefully inspire you with last-minute ideas for your night in. 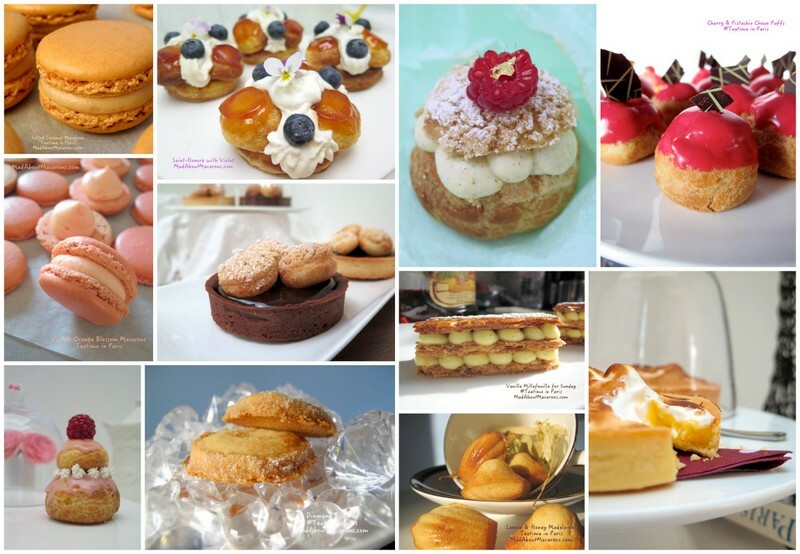 All of them are easy, light, and perfect if you don’t have a big budget to go splashing out on some of the more sophisticated expensive pastries that are flashing behind pâtisserie windows. 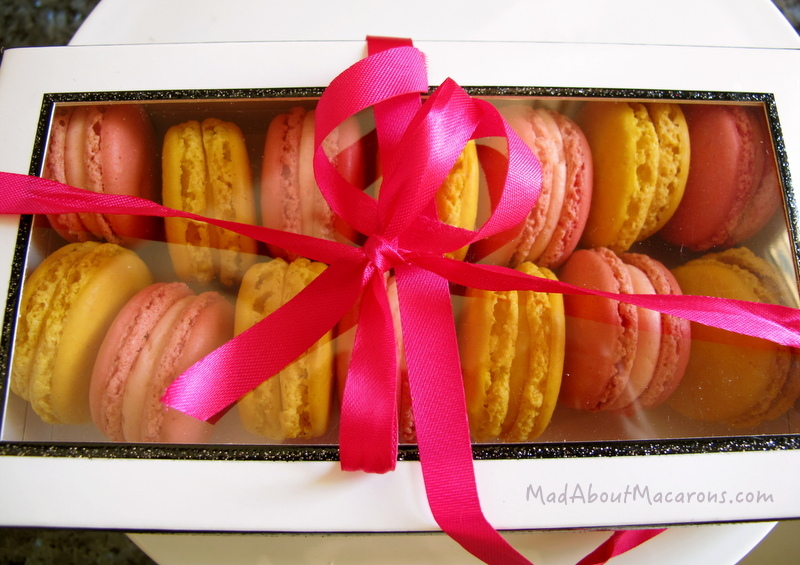 They’re all in season, making them cheaper too, with that extra wow factor if you serve them with your own homemade macarons from my books. 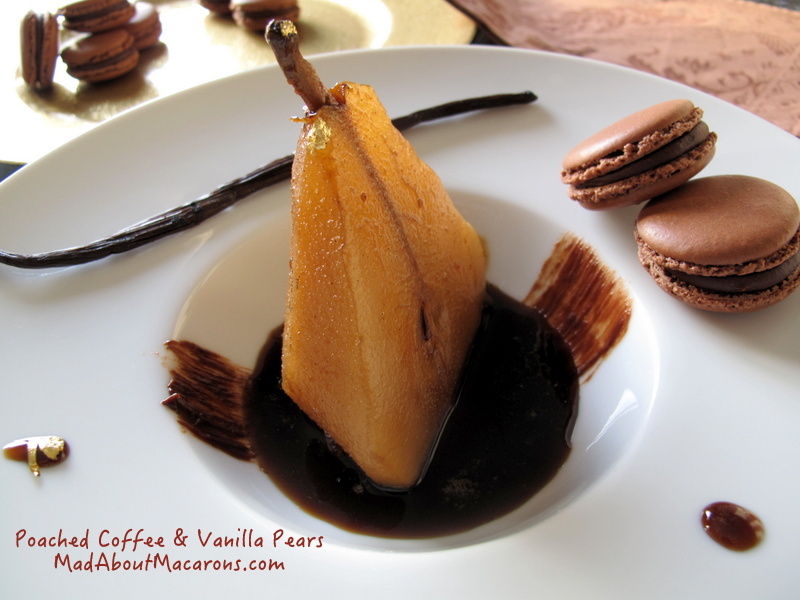 I thought poaching pears was difficult and fussy when I first came to Paris, but this Poached Coffee with Vanilla Pears dessert (gluten-free) couldn’t be easier. Have you tried coffee and pears together? They make a great couple. Serve in large bowls to catch the lovely poaching juice and have fun decorating the sides with a large paintbrush. Serve with mocha, coffee or vanilla macarons. 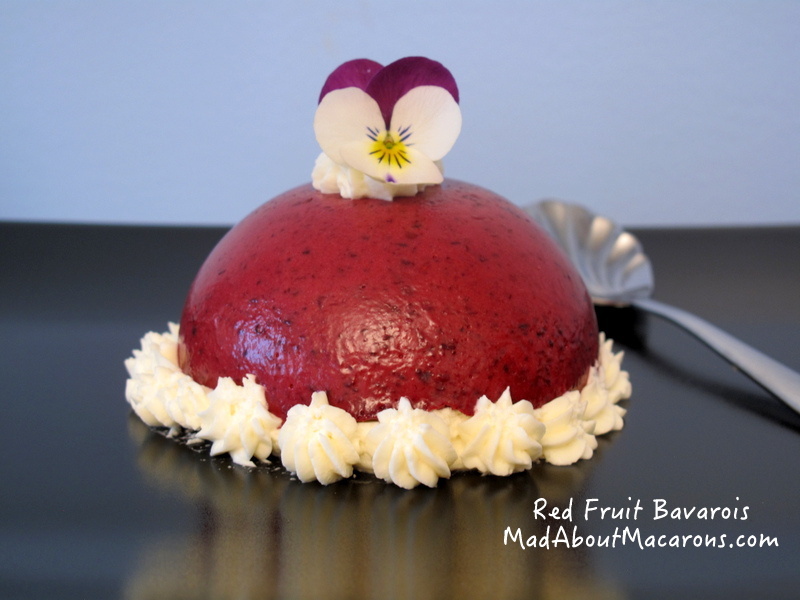 This Red Fruit Bavarois recipe is made easier using frozen berries. Another gluten-free dessert, it’s easy to dress it up with whipped cream in a piping bag using a starred-tip. Top with edible flowers, such as winter pansies or violas, and if you have some rose macarons, it’s a speed-dating trick that works. My latest dessert last week, Rice Pudding with Orange Blossom and Pomegranate is given a make-over served slightly warm in tall glasses. It makes a surprising change to my French hubby’s favourite classic with its subtle floral hint and if you prefer it with a pink look, stir in the pomegranate’s deep red juice. For those of us who love our pink and roses at Valentines, then this Rose and White Panna Cotta with a Cherry and Cardamom Coulis makes a change to the classic raspberry pairing we see so often in Paris. Here, of course, I cheated with frozen dark cherries as they’re not in season but the partnership is wonderful. A heart-shaped macaron or two will just add the perfect finale to this gluten-free dessert. 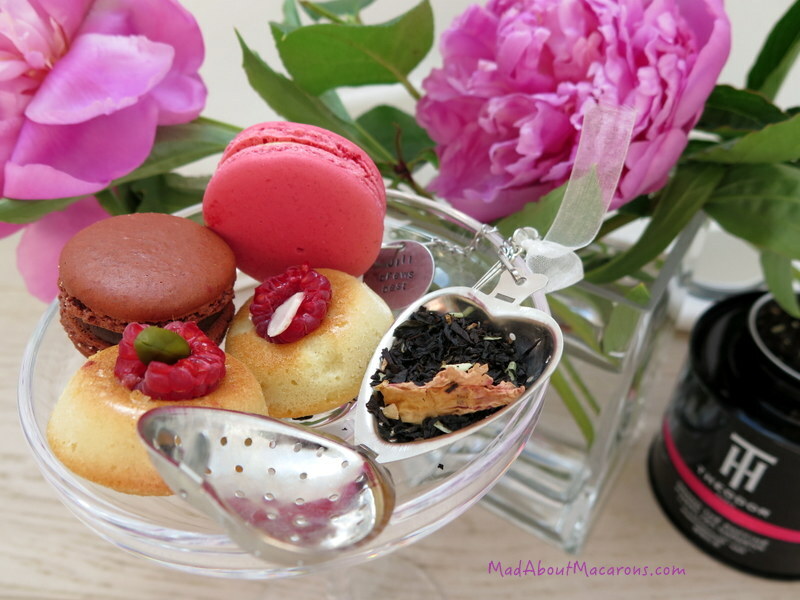 Here’s a quick tutorial how to pipe out macaron hearts – details also in “Teatime in Paris“. 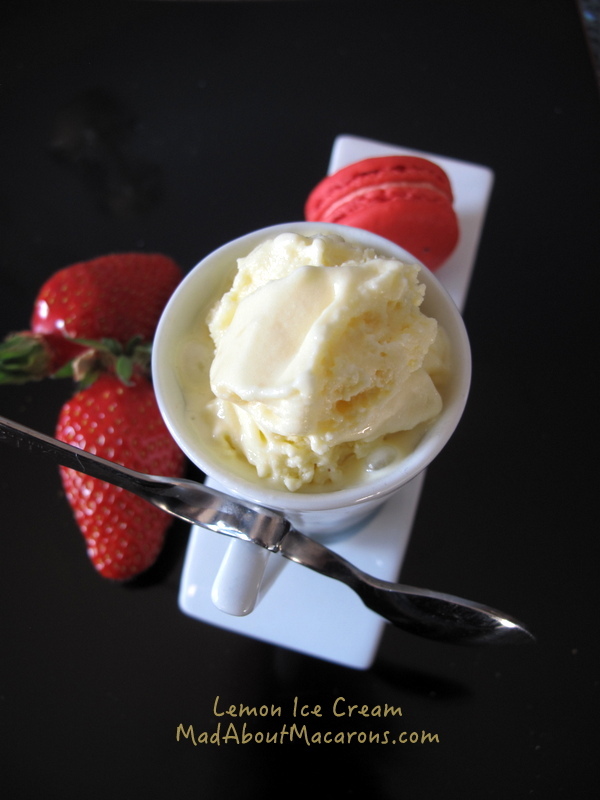 Perhaps you need to cool down your Valentine a bit with this zingingly creamy Lemon Ice Cream. No macarons to serve with the lemon ice cream? 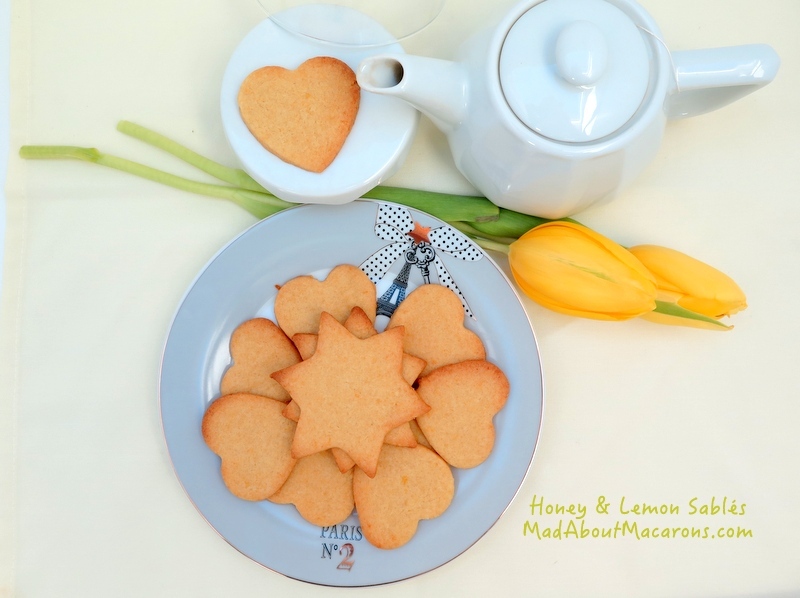 Then make a batch of these Honey and Lemon Sablés or cookies, cutting them into heart shapes before baking. I’m not a white chocolate fan – but when I experimented with this billowy, fluffy dessert you’ll discover that this white chocolate, rose and orange blossom mousse makes a deliciously light and refreshing dessert. There’s not too much and just enough white chocolate to make it sweet without adding any sugar. Many Parisian chocolate shops this Valentine’s have that frisson feeling theme of falling in love with the acidity of fruits combined with chocolate. 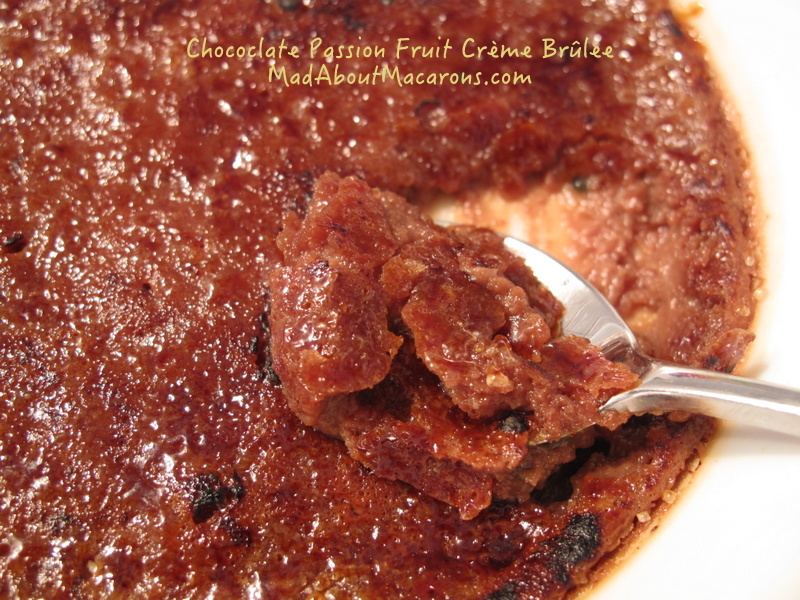 Crack your other half with my frisson chocolate fruity acidity dessert version in this chocolate and passion fruit crème brûlée. If you’ve lost that loving feeling; Woah-woh-oh. 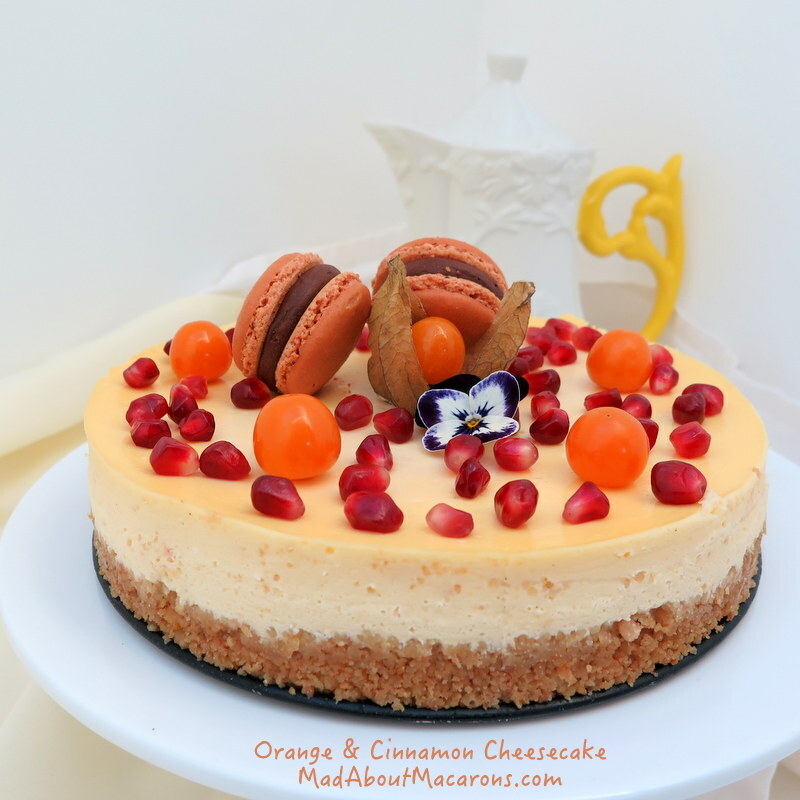 If, like us, you’re entertaining this weekend or celebrating together “en famille”, then this orange and cinnamon cheesecake can also be dressed up for Valentine’s Day with seasonal fruits, edible flowers and macarons. Tea for two? Have you tried this very special Parisian macaron tea, with pistachio, chocolate and peony rose notes evoking the macaron? It’s called “Je t’aime” by Theodor Tea. I see they have special limited edition Valentine’s packaging too. I love it! 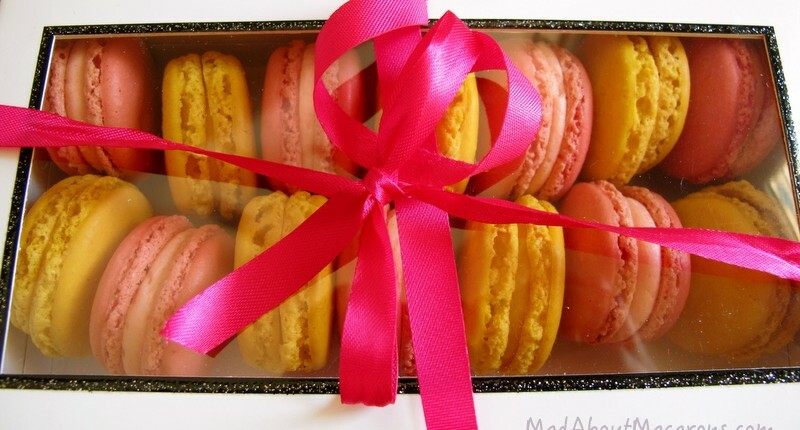 There’s nothing more romantic by saying it with homemade macarons. 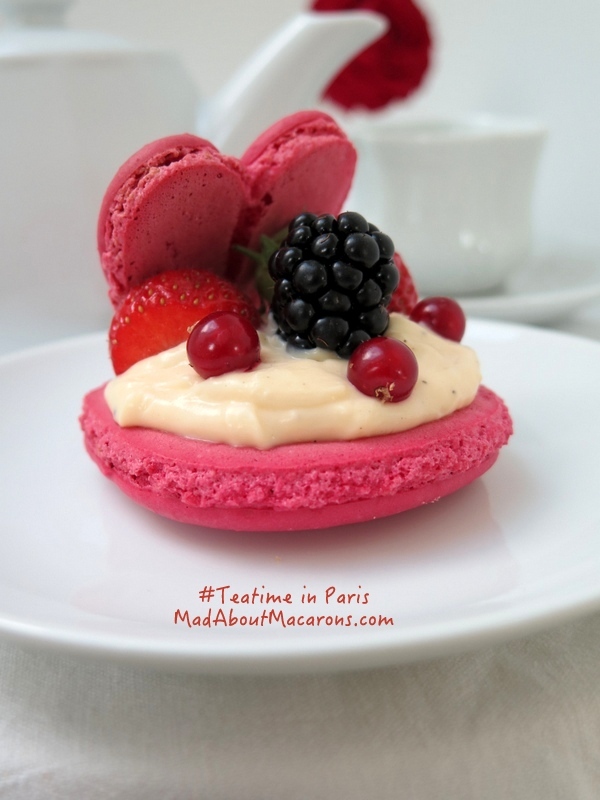 And there’s no need to tell you that there are plenty recipes in Mad About Macarons and now there are 11 more in the macaron chapter in Teatime in Paris. No fancy boxes? This is simply a re-cycled Christmas card box! Let me tempt you with just a few treats from the book. Wishing you a very Happy Valentine’s from Paris. Thanks for all your support and comments on the website – and for sharing the love on Facebook, Pinterest, and Twitter. 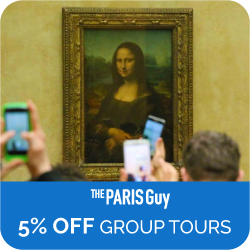 If you’re on Instagram too, join me for snaps of daily life in and around Paris.